Could this be undermining your health goals? You’ve likely heard by now that we modern humans consume far too much sugar and that it’s wreaking havoc on our health. From expanding waistlines to insulin resistance and diabetes, too much of the sweet stuff is not just making us fat, it’s also making us sick. On average, Americans consume 66 pounds of added sugar per year. I recently read that there is added sugar in 74% of packaged foods in supermarkets (source). Aside from the fact that it’s best to shop to borders at the grocery store and eat real food, if you’re going to eat from a package, it’s wise to know what’s in there. “But I read labels”, you say. Unfortunately, just having an awareness that sugar may be keeping you from reaching your health goals is not enough. Reading food labels is fantastic and is an excellent first step in keeping unwanted added sources of sugar out of your diet. The fewer the ingredients in a food the better. Ingredients should all be things you can pronounce and are familiar with. Spotting added sugar can sometimes be tricky. It’s in things we consider healthy, like granola or yogurt. It’s also in savory items, such as ketchup, crackers, and bread. 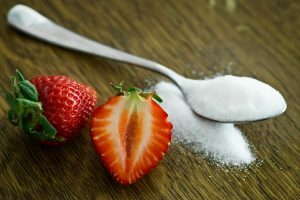 Product labels are required to list total sugar, but not to specify how much of that sugar is naturally occurring, such as in sugar and milk, and how much has been added. Keep an eye out for the following sources of added sugar while scanning ingredient lists. What instructions is your food giving your body? Health and healing starts in the kitchen. In this post, you’ll learn 3 key strategies you can begin using today to improve your health from the inside out. Food is the information that tells our bodies which genes to express and which genes to silence. More specifically, there are certain components in food that encourage our bodies to turn on or off inflammatory pathways. Inflammation is at the root of nearly all chronic conditions. We must move beyond the idea eating by numbers. 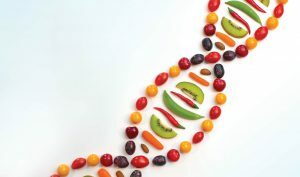 Eating optimally for our genes is about more than eating a specific percentage of macros (Carbs, Proteins, and Fat). It’s about more than counting calories. It’s about learning which ingredients boost our ability to combat oxidative stress and quench damaging free radicals. Most importantly, it’s about learning how to get these ingredients onto our plates in a simple and nutritious way. I’ll go into the biochemistry of inflammation in another post, but for now, just know that food is talking to your body in very specific ways. The first step towards health is to start including more foods that quiet the flames of inflammation. Below are 3 key strategies you can implement today to lay a foundation for better health and performance in every aspect of your life. Reduce the damage of oxidative stress on cells and tissue. Eat foods to help manage inflammation, oxidative stress, blood sugar, and fats. This includes grapes, blueberries, apples, watermelon, cabbage, kale, onion, leeks, radishes, capers, and turmeric. Feed your gut. A healthy gut is important for a variety of reasons ranging from immunity to mental health to glowing skin. To properly absorb nutrients from your food, you need healthy gut bacteria. The following foods support your gut health: kombucha, asparagus, bananas, jicama, yogurt, miso, and tempeh. Support your detox processes. Include these foods to aid in the production of antioxidants and to help your body get rid of toxic substances produced under stress. Include the following: beets, spinach, mushrooms, avocado, oranges, eggs, sunflower seeds, and brazil nuts. 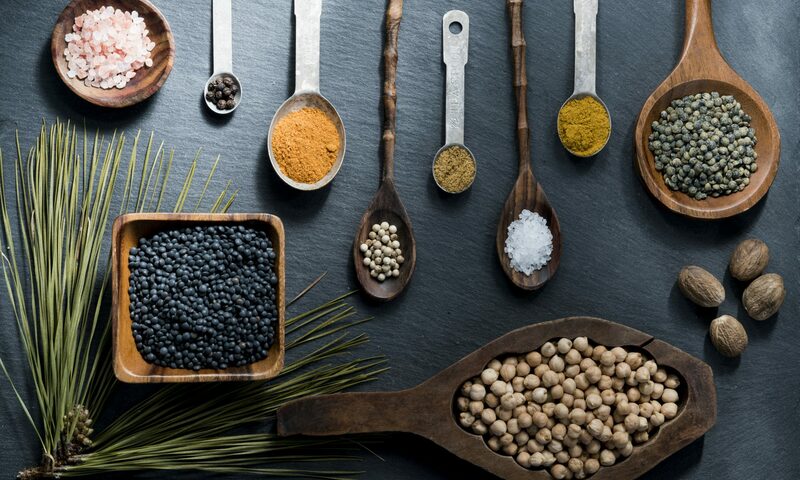 By working with ingredients that directly influence our genetic expression, we can create a toolbox of foods that improve our health at the biochemical level. When we reduce inflammation in the body, the body can begin to heal itself. Getting these foods on your plate every day can help you begin to break free from restrictive meal plans and diet dogma, and set you up for success over the long haul. Much of what I’ve discussed here about how specific components in food interact with our genes is from the work of Amanda Archibald. How Can Food Improve My Performance? How would it feel to know that your food choices were helping you think more clearly and run faster and further? What if you could eat in a way that was easy, saved you money, and was healthy and delicious? It’s possible and it’s easier than you think. 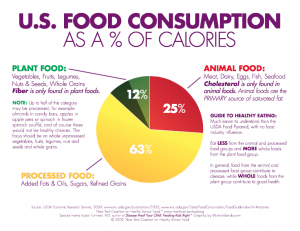 American’s get 63% of their daily calories from packaged foods. Eating primarily packaged, refined, processed convenience foods results in a diet high in meat, dairy, fat, and sugar. Only 1 in 4 Americans eats one serving of fruit per day and only 1 in 10 eat the recommended minimum of veggies. 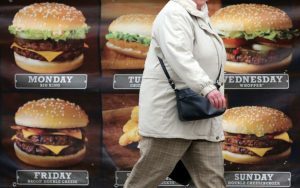 From a personal health standpoint, it’s clear that our diets are killing us. America is the most overweight industrialized nation with about 35% of the population being obese, and 75% being overweight. Obesity increases the risk of illness and death due to diabetes, stroke, coronary artery disease and kidney and gallbladder disorders. 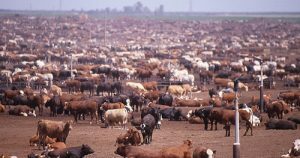 In terms of the environment, the intensive use of water, energy, pesticides, fertilizers, antibiotics, hormones, and GMOs used in modern agriculture have resulted in increased topsoil loss, water pollution, animal waste, and greenhouse gas emissions. Destroying our environment means not only destroying where our families live and play. It also means destroying the source of our food supply. Not caring for our land and water means there will inevitably come a day (in the not so distant future) when we can no longer grow enough food. I’m just one person. What can I do? We know this is happening, but it’s easy to believe that we’re powerless to stop it. There are powerful industries with incentives to perpetuate this system. Convenience food is designed to be quick and addictive by the food industry. Advertisements have convinced us that we don’t have time to eat healthy or that it costs too much. Big Agriculture is a powerful business that influences government subsidization of large-scale unsustainable farming. What we choose to eat powerfully impacts our own health and the health of the environment. Decreased demand for the packaged, processed foods means less destroyed land, less pollution produced, less packaging waste. Steering clear of packaged junk foods also does wonders for our health. Eating real food (those that don’t come in packages or have a list of ingredients), grown sustainably, results in better cognition, decreased rates of disease and cancer, clearer skin, better digestion, and improved immune function. It means better performance in all areas of your life, from work to fitness to parenting. What do you want to support? You can use your dollar and power of choice to improve your life and our collective future. Or you can use it to keep supporting the system. How would it feel to break free from the mega-industries controlling our food and our health? Each one of us has the power to be part of the solution. 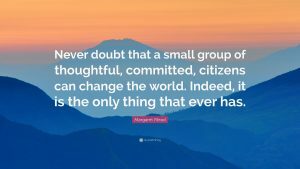 We have the power to make great changes in our lives and in the world. It can be easy to feel powerless. We can believe that what’s happening in the world will continue to happen and there’s nothing we can do about it. But that thought doesn’t sit well with you because you’re an aware individual. You know that your choices matter. Whether we’re impacting one other life or many, each of our actions has ripple effects. There’s a lot of scary stuff going on in the world, but we don’t have to passively sit back and watch our environment be destroyed and our health deteriorate. Those are not just inevitable parts of life. We have the power every day to improve our lives, our children’s lives, and the world at large. In fact, we have the power to do that at least 3 times a day through our food choices. The goal of this site and my work is to empower you to make thoughtful choices that benefit you and benefit the planet. And it’s really not so hard. It just takes a few small shifts in mindset and habits. It’s also not expensive or time-consuming. You’ll probably spend less money on your weekly groceries and less time making food decisions and preparing meals. You’re also likely to drop extra weight, clear up brain fog, experience less anxiety and depression, have more radiant skin, and discover that many of those aches and pains you thought you’d have to live with forever, actually disappear after a few short weeks of consuming the right fuel. You’ll feel proud of yourself knowing that your choices are building a more sustainable food system. You’ll feel good knowing that you’re part of the solution. You’ll feel satisfied knowing that your kids are learning healthy habits that will set them up for long, enjoyable lives. Your future self with thank you for making intentional choices. In the following posts, I can’t wait to share the simple ideas, tools, and tactics that I’ve learned over the years that have helped me transform my own relationship with food, health and how I approach my life. I’ve seen profound changes in friends and family and I’m excited for you to join us. In the comments below, say hi and let me know if there are any particular topics you’d like to hear more about as I continue to build out this site.